A cybercriminal network that caused at least US$10 million in losses has been disrupted by U.S. and U.K. law enforcement, with the U.S. seeking a Moldovan man's extradition, the Department of Justice said Tuesday. Andrey Ghinkul, 30, is accused of being the administrator of the Dridex botnet, also known as Cridex and Bugat. A nine-count indictment was unsealed on Tuesday in the U.S. District Court for the Western District of Pennsylvania, DOJ said. Ghinkul was arrested on Aug. 28 in Cyprus. Dridex has been a real headache for a number of years. It collects online banking credentials from infected computers, which prosecutors said were then used to initiate large wire transfers. 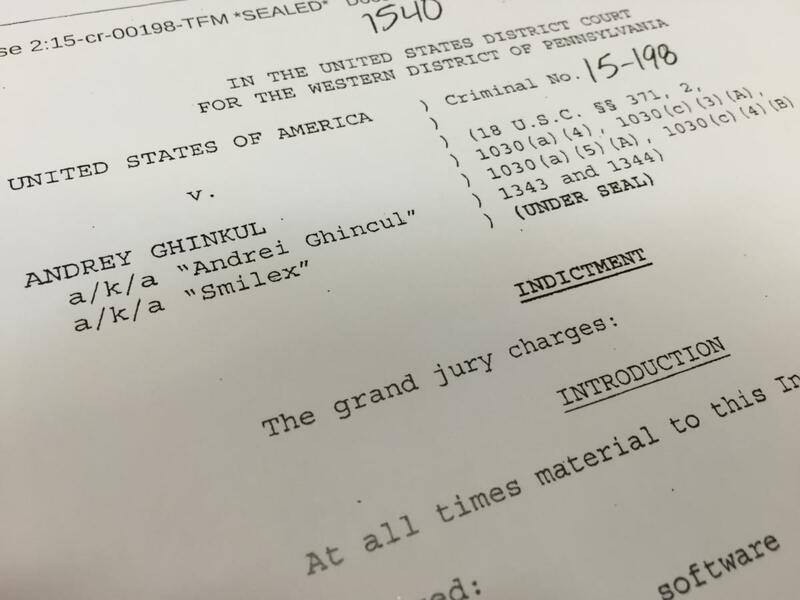 In one example, Ghinkul and his gang allegedly transferred $2.1 million from an account of Penneco Oil Company, based in Delmont, Pennsylvania, to one in Krasnodar, Russia, on Aug. 31, 2012, according to the indictment. Four days later, Penneco Oil was hit again, this time with $1.3 million going to an account in Minsk, Belarus. The same day, the group allegedly tried to transfer a further $76,520 from the company's accounts. Penneco Oil's account information was believed to have been compromised after Ghinkul's group sent one of the company's employees a phishing email, prosecutors said. Dridex is considered one of the top banking malware families. It spreads through targeted spam that contains attachments to malicious XML files, Microsoft Office documents with macros or links to malicious websites. The malware can log keystrokes and inject fake HTML fields into Web pages that ask users for more sensitive information. It also can frequently escape detection by antivirus software.